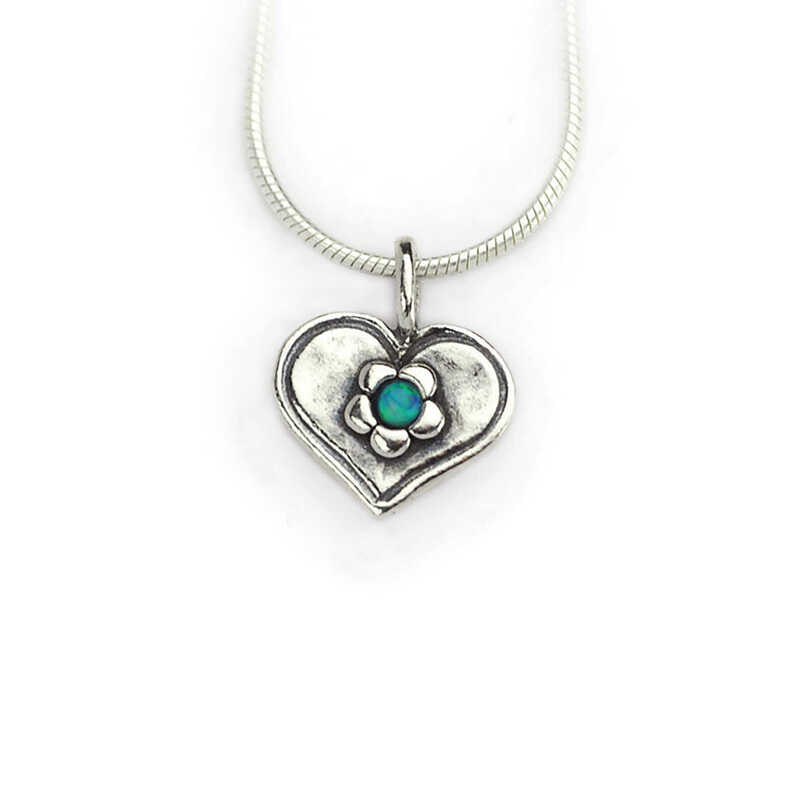 Dainty sterling silver heart pendant with a small daisy in the centre. The silver has been slightly oxidised and then polished to bring out it’s cute features and then set with a tiny blue opalite stone. The sweet pendant hangs on a 17 inch fine snake chain.